Kellogg Community College is offering LITE 222: British Literature at the College’s Grahl Center campus in Coldwater this spring. 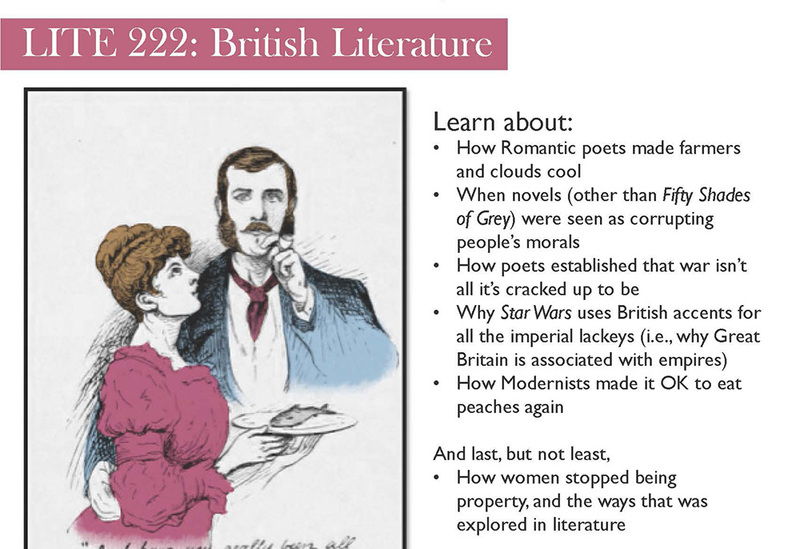 KCC’s three-credit LITE 222: British Literature course will run from 1 to 4 p.m. Thursdays beginning Jan. 19 at KCC’s Grahl Center in Coldwater. For more information about the course, email Dr. Perkins at perkinsm@kellogg.edu. For information about registering for spring semester classes like this one, visit www.kellogg.edu/registration.